Shipping seems simple at first. You pick the order, package it, and send it out. That’s it. But as your business grows, it gets more and more complex. There will be unexpected spikes in order volume. You have to manage staff and perhaps juggle multiple carriers. You will certainly need to create and continually improve processes which keep everything running efficiently and accurately. If you want to ship overseas, that’s yet another level of complexity. But shipping is not just complex, it’s expensive. Even while fuel prices fall, shipping rates still go up every year. UPS and FedEx raised their rates by around 5% this year. Online sellers either have to absorb the costs or pass it on to their customers – which can impact sales. So in this article, I wanted to find out if it was possible to save money on shipping without adding any more complexity, and without downgrading the service offered to buyers. After a lot of research, I’ve discovered three ways to do exactly that. In this article I’ll say what those approaches are, and highlight some companies that provide tools or services in those areas. Then I’ll explain how they work and how much they cost. If you have any questions, fire away in the comments at the end. In the United States, FedEx and UPS will refund the full cost of shipping if they fail to meet their delivery time guarantee. But here’s the rub – you won’t get a refund unless you ask for it. Log into your account and find out when your packages were delivered. Make a note of the tracking numbers for items later than the guaranteed time. Submit your refund request through either the UPS Billing Center or FedEx Account Management. Wait for them to approve your refund. You only get 15 days to make your claim. You should also watch out for variations in the guaranteed delivery times for different services. There’s a difference between FedEx Ground and FedEx Overnight, for example. Even FedEx Priority Overnight and FedEx First Overnight are different. Those refunds can really add up. Ellen Riley, Chief Customer Officer of shipping audit company 71lbs, estimates that 3%-4% of deliveries are late. Ecommerce companies spend roughly 10% of their revenue each year on shipping. If you’re shipping a hundred packages a day, there’s 3-4 packages you’re losing money on. Scaling that up, there could be as much as $2 billion worth of unclaimed UPS and FedEx refunds every year. That’s a lot of money that could have gone back to those businesses. Tracking packages and claiming refunds is a sensible way to reduce your costs, but it clearly does add complexity and effort to your shipping operation. But there is a way to claim those refunds with a negligible amount of effort – through a shipping audit company. There’s 71lbs who were mentioned above, and several others. They track your shipping transactions and file late delivery claims on your behalf. Some also audit invoices for incorrect fees and surcharges (there’s over one hundred different surcharges that UPS and FedEx have, although only two or three are generally worth auditing for). The catch? These companies typically take 50% of your refunds, usually by sending you a bill for half of the money they successfully claim back. Are they worth it? That really depends on how much time it would take to claim the refunds yourself, and the value you put on that time. These companies are experts in the process, and they invest in software automation, so even though they take 50% of your refunds that could compare favorably with managing it in-house. There’s also a value in not having to manage yet another process yourself. To get an estimate of how much you could save, there’s a free tool called Audisee which takes an upload of your FedEx or UPS invoice file (CSV or XML) and provides a report on the amount of fees which could potentially be refunded. This service doesn’t highlight exactly which shipments are refundable, or make the claims on your behalf, but it does give an indication of what you could get back – whether you do it yourself or use a shipping audit company. When a customer renews their contract, FedEx or UPS sometimes try to put a waiver on the account saying they can’t apply for money-back guarantees. Customers don’t have to accept that. They’ve had the guarantees for a long time, and if they start trying to do away with them, people will just switch from one to the other. Right now, FedEx is the carrier who is making it more difficult to make claims on the Money Back Guarantee, but if people start looking to switch to UPS, perhaps FedEx will ease off. After all, it is a service level guarantee that they created. FedEx and UPS late-delivery refunds are a great place to start saving, but what if you use different carriers – or don’t do your own shipping at all? Sellers who use Amazon’s storage and shipping service Fulfillment by Amazon (FBA), can also claim refunds. Stock can be lost or damaged at Amazon’s fulfillment centers or billing mistakes made, for example. Although Amazon is famously process-driven and meticulous, their system is not perfect and mistakes do happen. Of course, if Amazon loses or damages items in their fulfillment center, the seller should be reimbursed, and Amazon’s lost and damaged inventory policy describes how the process works. Amazon detect around 80% of inventory errors. For lost or damaged items, they usually pick it up within 10 to 30 days. We wait for 45 days to be sure they haven’t discovered it themselves. But the reports aren’t going to just tell you the answer. You have to carefully search and cross-reference them to identify any problems. Thankfully, bloggers including Full-Time FBA and FBA Master have written step-by-step instructions for finding potential refunds. Ryan Grant of Online Selling Experiment has written a whole book covering ten different methods for finding FBA reimbursements. Just like FedEx and UPS late-delivery refunds, you have the option of finding and claiming FBA refunds yourself or using a third-party service. The manual approach takes time, concentration and skill – but you get 100% of the refund back. Again, you have to weigh up the time it takes versus the potential refunds, and decide if it’s an extra admin burden you want to take on. Unlike FedEx and UPS late-delivery refunds, where the market is saturated, I could find only one company that provides this service. Refunds Manager looks for 14 different types of FBA inventory discrepancies over the last 18 months, and charges 25% of the reimbursements they recover. They are listed in the Web Retailer directory and currently have a 5 star rating. The system downloads everything and generates the different types of cases, then we have a team of people reviewing the results and making sure they’re 100% correct. Amazon doesn’t allow claims to be fully automated. We have smaller customers who got back a few thousand dollars, and very large sellers who have been with us from the beginning and got back over $100,000. But there’s no typical rate of mistakes, we see a lot of variation for different categories and different seller accounts. Parcel consolidation is the odd one out among these three, but it’s innovative and not particularly well-known so worthy of inclusion here. 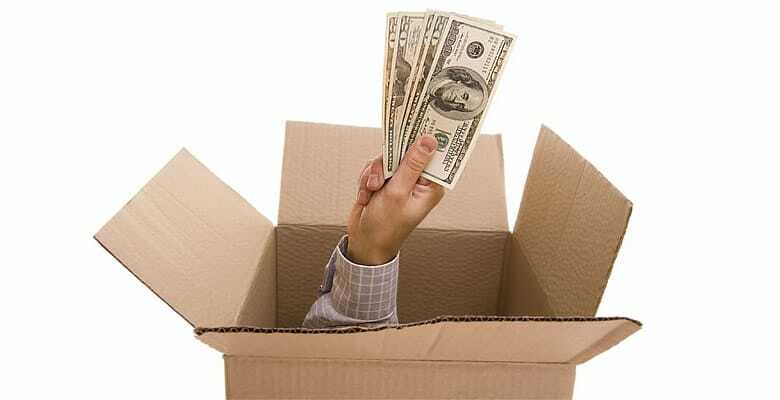 If you ship packages internationally, a parcel consolidator might be able to offer you significant savings. The companies that provide international consolidation services are used just like “ordinary” parcel carriers (e.g. FedEx or DHL) from the outside. But once your packages go into their system, they operate quite differently. The benefits are lower costs (sometimes they are drastically cheaper) and also lower volume requirements. Instead of treating each parcel as an independent shipment, consolidators pre-sort packages from many different businesses and transport them in bulk to the destination country. When they arrive, the parcels are transferred to the local postal service (e.g. USPS in the United States or Royal Mail in the UK) for delivery to the buyer. Postal Administrations throughout the world are bound by the Universal Postal Union to provide delivery services to every address within their borders. This means every address is serviced without any extra fees or charges levied due to an address being remote or outside of major population areas. Private delivery and courier companies will often charge a premium for residential deliveries or for areas outside of major cities. It’s the use of domestic postal services, typically in public ownership, instead of private delivery networks that allows consolidators to provide significantly lower rates. It’s not unusual for sellers to report savings of thousands a dollars a month by switching to a consolidator for their international shipments. Shipping consolidators are listed in the Web Retailer directory, and include smaller companies which specialize in this area like Globegistics and IBC, as well as multinational logistics companies like Asendia and DHL. Consolidation lowers postage costs with little to no effort. No capital investment, labor costs or management expertise. You pay the package consolidator to perform the sortation and physically to transport your parcels into the Postal Network for final delivery by the Post. With the consolidator controlling everything except the final delivery, more precise transit times can be realized. Even if you have limited volumes, your packages are mixed with other parcels destined for the same country. This allows you to meet any volume minimums that may be required. Automatically claim UPS and FedEx late-delivery refunds. File cases for lost inventory and other discrepancies when using Amazon FBA. Lower international shipping costs by consolidating parcels with other shippers. I hope I’ve highlighted something new for you, and it helps you lower your business costs. Every dollar saved on shipping goes straight to your profits. To quote Benjamin Franklin, a penny saved is a penny earned! Do you use any of these tools in your business? Do you plan to? It would be great to hear from you in the comments! My mail consolidator (Globegistics) saves me about $50k a year in postage cost.